Many people have asked this question and many people have written books, have had seminars and preached on this topic. Why, how, what, when…… what more can I say about it? Have you read my blog about Kissing the feet of Jesus? I’ve shared my heart about my prayer life……yet I still feel I have something more to say. I’m going to say something shocking here…….Prayer is not complicated!! Ok that wasn’t really that shocking but I wanted to get your attention. To tell you the truth….How to pray is a weird question to me….it’s like asking how to love….how to eat…..how to breath? When I fell in love for the very first time in junior high school I just knew how to love…it came natural. I feel when you fall in love with the Lord talking to Him should be so natural……oh you say…..Fall in love with the Lord? Yes….this is a personal relationship. In 1984 I did fall totally in love with God. I had always loved Him in a distant way….knowing about Him….being told about Him….reading about Him….going to church….singing about Him…..asking for His help in trouble….you know all the regular dealings with God. But In that year of 1984 I came to know God on a whole different level…..I feel so head over heels in Love with God the Father, God the Son and God the Holy Spirit. What was the difference in this relationship that wasn’t there before? I allowed God to fully come into my life and take charge of me. Because I felt the light of His love and nature…. it exposed my own nature and I became very very sorry for all my sins. I opened myself fully to Him to accept all His love for me and I felt Him inside my soul spirit and body restoring me to a whole blood washed by Jesus person. This was an incredible experience for me. I was so happy, so excited…..I was free from the weights that had pulled me down for years. Who would and could do this for me?….who had that kind of power? It was the Lord…..I was changed and my feelings for Him changed they got deeper. Now about prayer which is my topic for today. I wanted to know EVERTHING about God and the only way to get this info was to read the bible which I did and then came my prayer life. I did use the Lord ’s Prayer as my beginning guide. But it wasn’t enough for me and the Holy Spirit Himself helped me to pray. I wanted more of God so bad……I waited for Him to talk back to me and He did. The first thing I ever heard Him say to me was…..He called me by my name….and then……He told me He loved me. Tears were streaming down my face as I heard my Heavenly Fathers voice for the first time. I was truly in love…He touched me in my heart. After this there was no stopping me because like Helen Keller when she first understood about sign language and she ran around the room touching and signing….that was me. I went around telling people that I fell in love with Jesus and people were looking at me with one eyebrow up saying…well alrighty now…that’s nice. Nice that was great to me! Let me tell you all….I talked God’s head off!! I talked and talked to Him for up to 8 hours a day 7 days a week. Just ask my family. I was told by someone in church that I prayed too much. Someone even told me the reason I suffer with chronic fatigue was because of my prayer life. I just smiled and thought they had a problem because that was a crazy statement….you can’t talk to God too much. 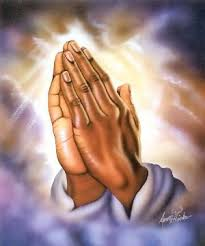 Now everyone does not have to pray that long……that was just me…..I am a prayer intercessor and I have prayed for many people during those blessed years of my life. 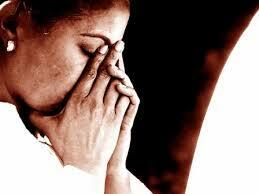 The longest I pray now is about 2 hours and that’s when the Holy Spirit calls me to that kind of intercession. 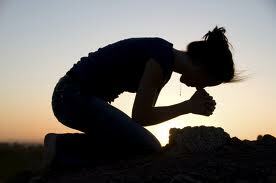 My prayer now is talking to God on and off throughout the day and daily prayer with my husband. My whole point here is not to concentrate on the how to….but to concentrate on Him….God….talk to Him…get to know Him…..let Him fully take you over. Melt in His loving arms…drink from His streams of refreshing waters…..Hear and know the sound of His voice….want to be with Him…clutch the bible like it is His love letters to you and hold them close in your heart if fact hide them there. This is how to pray….pray with love for God….His Spirit will lead you and guide you….just be willing to go. 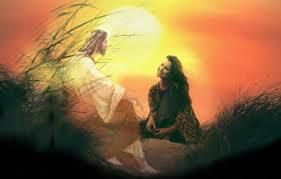 Will someone find you in the secret place…..the garden….where you are alone with the Lord? Will you meet often with the lover of your soul? Who can Love you will all your imperfections? Who can love you so deeply? Who can wash your soul and make you clean? Who can make you so happy despite your circumstance? Who has a mansion waiting for you when you come back home?…..The lover of your soul…God. How do you pray?……Pray with Love…..Pray with Love…..this is the motivating force of my worship and prayers to God……I love Him….so. Message for today: Change your…. how to pray…..with…. love to pray. Don’t get prayed up for a rainy day……pray because of Oh happy day.